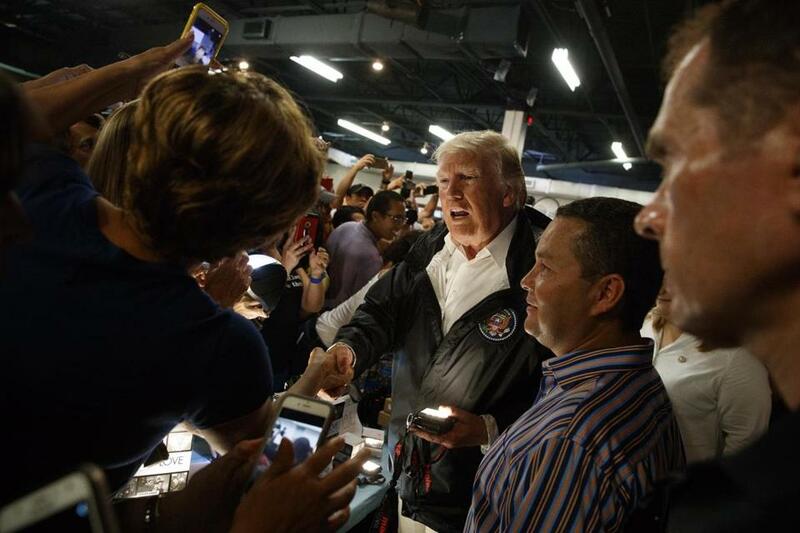 President Donald Trump shook hands and handed out flashlights and other supplies at Calvary Chapel in Guaynabo, Puerto Rico on Tuesday. 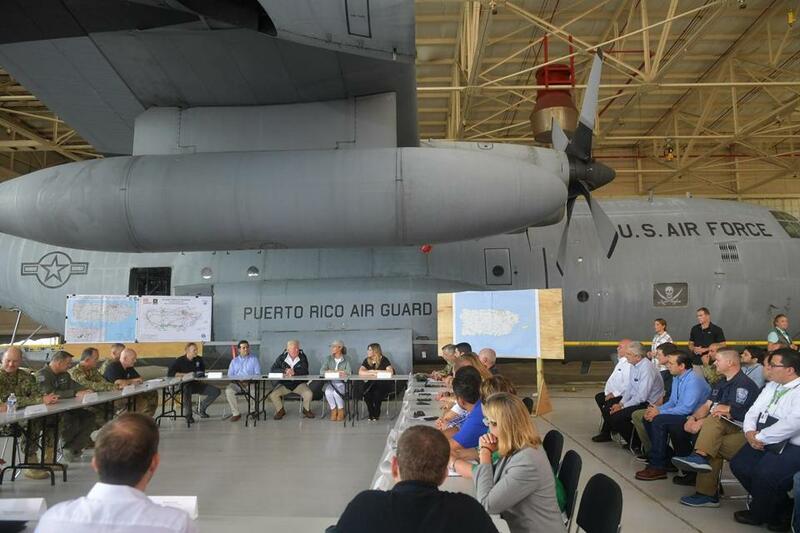 The most prominent critic, San Juan Mayor Carmen Yulin Cruz, attended the first event, in an airport hangar, shaking Trump’s hand as he went around a table greeting officials before sitting in in the shadow of a hulking, gray military plane. The fund, launched Friday, has already received close to 1,000 credit card transactions and pledges of about $800,000 from prominent local institutions. ‘‘How are you?’’ he asked. Her response could not be heard. He thanked her. Days earlier, Cruz said the Trump administration was ‘‘killing us with the inefficiency,’’ pleading for more effective federal leadership in the crisis. The plane descended over a landscape marked by mangled palm trees, metal debris strewn near homes and patches of stripped trees, yet with less devastation evident than farther from San Juan. 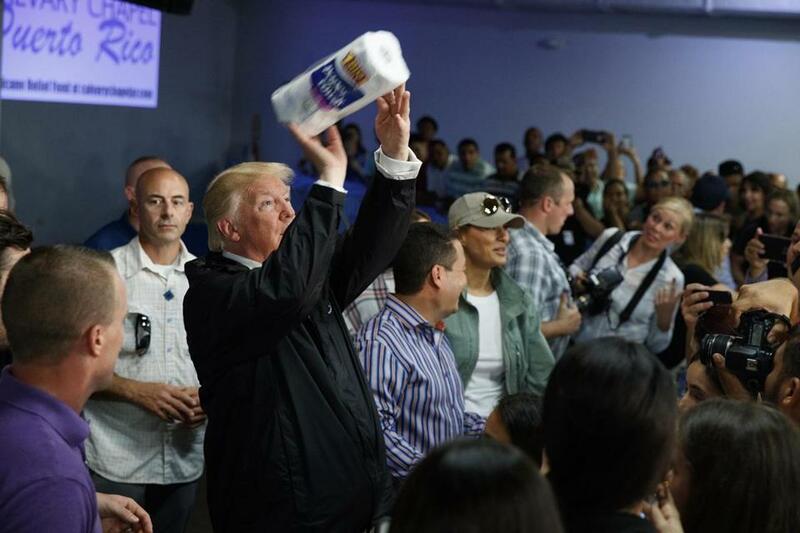 President Donald Trump tossed paper towels into a crowd as he hands out supplies at Calvary Chapel in Guaynabo, Puerto Rico. At least in his first moments on the island, Trump remained focused primarily on the reviews his administration is getting. ‘‘He didn’t play politics at all,’’ he said of the governor, making clear that he considers those who have criticized him to be politically driven. Trump misstated Maria as a Category 5 hurricane; it was Category 4 when it hit Puerto Rico. Large-scale protests against Trump, talked about in advance, failed to materialize by early afternoon, with only a few handfuls of people gathering around San Juan to decry his criticism of local politicians. The trip is Trump’s fourth areas battered by storms during an unusually violent hurricane season that has also seen parts of Texas, Florida, Louisiana and the U.S. Virgin Islands inundated by floodwaters and hit by high winds. Nearly two weeks after the Puerto Rico storm, 95 percent of electricity customers remain without power, including some hospitals. And much of the countryside is still struggling to access such basic necessities as food, fresh water and cash. ‘‘They want everything to be done for them when it should be a community effort,’’ he added, scoffing at ‘‘politically motivated ingrates’’ who had criticized the federal work, and insisting that ‘‘tremendous progress’’ was being made. Trump and his wife were to meet Navy and Marine Corps personnel on the flight deck of the USS Kearsarge as well as the governor of the U.S. Virgin Islands. Trump and other administration officials have worked in recent days to reassure Americans that recovery efforts are going well and combat a perception that the president failed to fully grasp the magnitude of the storm’s destruction in its immediate aftermath. While early response efforts were hampered by logistical challenges, officials say that conditions, especially in the capital, have improved. According to the Federal Emergency Management Agency, there are now more than 10,000 federal officials on the ground on the island, and 45 percent of customers now have access to drinking water. Businesses are also beginning to re-open, with 60 percent of retail gas stations now up and running. The Health and Human Services Department says federal medical teams with their own equipment and supplies have been sent to help provide care at Centro Medico, a major trauma center in San Juan. Additional teams have been sent to five hospitals in other parts of the island. The department has also placed a liaison in each hospital that’s open, to make sure the facilities can get timely shipments of fuel needed to keep generators running, as well as medical supplies. President Donald Trump and First Lady Melania Trump attended a meeting with officials after stepping off Air Force One upon arrival at Luis Muñiz Air National Guard Base in Carolina, Puerto Rico on Tuesday. Christina Prignano of the Globe staff contributed. 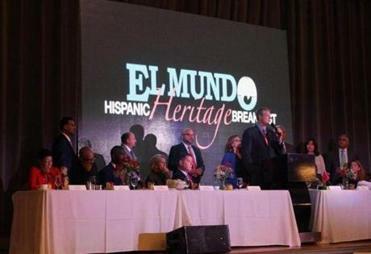 Associated Press writers Catherine Lucey and Ricardo Alonso-Zaldivar contributed to this report.